PRELUDE.10 asks a blunt question that straddles funding, audience and disciplinary tensions pervasive in our contemporary performance sector: “Why Does Live Matter?” What is its purpose? How do we measure its value to individuals, to communities, and to that collector of the dead – History? Three themes over three days drive our investigation: Communication, Provocation, and Simulation. Since live art is as much about the audience as it is about the artist, we start each day with participation. Our afternoon “Activity Sessions” challenge you to question yourself and the world beyond, formulate answers, experience new tools, and create your own artworks with the curated artists leading the sessions. The evening “Performances” return audience members to the contemporary habit of distanced observation. But don’t get too comfortable: these artists provoke us to consider how live performance can regain its relevance to society, unsettle perception and habits, and engage organically in the digital age. What would have happened in 1963 if someone from the Voguing dance tradition in Harlem had come down to Judson Church to perform alongside the early postmoderns?” is the proposition for Trajal Harrell’s series of dances that comes in five sizes- Extra Small (XS), Small (S), Medium (M), Larger (L), and Extra Large (XL). The (XS) is a twenty-five minute solo danced by the choreographer and proposed when finished for a maximum audience of fifty seated on the floor of the theater stage, gallery floor, or in the corner of the room. Two scientists perform experiments into the sentient life of plants even as their own sexual tension threatens to undermine their surprising results. Meanwhile, the janitor keeps sneaking into the lab at night to read pornographic literature to their plant subjects. A perverse futuristic exploration of hubris set in a human terrarium. 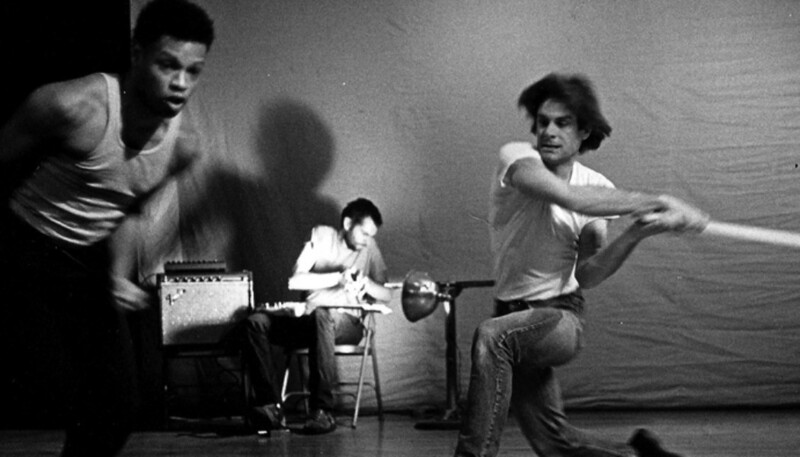 Ishmael Houston-Jones and his collaborators Chris Cocharne (music) and Dennis Cooper (text) sparked controversy in 1986 at Performance Space 122 with THEM. 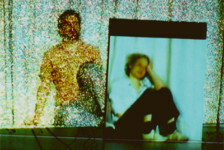 In the 1986 premier of the full-length version for six male dancers, Cooper read his own provocative words and Cochrane played cacophonous electric guitar live; frequently violent and exhausting dance sequences, culminated in a horrific duet between Houston-Jones and an animal carcass on a dusty mattress. The production almost got PS122 shut down. In 2010, Houston-Jones and his collaborators are revisiting the artistic impulses that propelled its original creation and reconstructing it for the contemporary moment. It is undeniable that the nature of performance is changing in the twenty-first century. 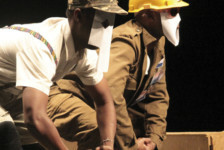 Just as an increasingly networked population is demanding that new kinds of media, alternative modes of spectacle, and participatory practices be incorporated in live events, the Internet has made it possible for performance artists and theatre companies to not only reach broader audiences through marketing and promotion, but to expand their creative breadth. In a response to these new times, Kimon Keramidas will lead an activity session which displays some ways that theatre and performance artists can use affordable and accessible technologies to quickly, record, manipulate, and distribute digital media. Kimon will show how simple it can be to use inexpensive video and audio recorders and digital cameras in conjunction with simple digital editing software and publishing platforms to rapidly extend the presence of performance into the digital realm. Kimon Keramidas is the Assistant Director for the Digital Media Lab at the Bard Graduate Center: Decorative Arts, Design History, and Material Culture, where he is responsible for integrating digital media across the curriculum and for providing guidance for digital initiatives in academic publishing and exhibition design. Kimon holds a B.A. in Theatre from Swarthmore College and a Ph.D. in Theatre with a certificate in Interactive Technology and Pedagagoy from the CUNY Graduate Center, and has taught courses on theatre, performance, new media, and instructional technology and pedagogy at The Cooper Union, Marymount Manhattan College, the Bard Graduate Center, the CUNY Graduate Center, and in CUNY’s Online Baccalaureate Program. After completing his dissertation on intellectual property rights and contemporary American theatrical production, Kimon has continued to publish in academic journals and with research interests in place and play in video games, sociocultural impact of interface design, and the integration of technology in curricular development. Kimon also has a background in theatrical production, having worked as a designer and set builder for three years at regional theatres in Washingotn D.C. and New Jersey and with the Builders Association on Alladeen and Super Vision.